This December, be part of Coastguard Northern Region’s first Christmas appeal – ‘Tis the Season! Our team will be out lending a helping hand at this event. 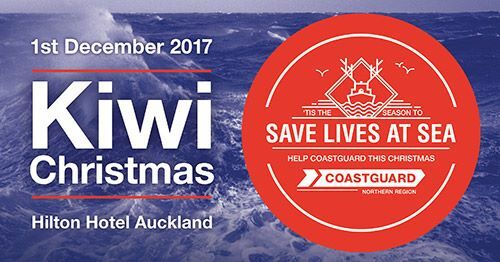 Kick off the Christmas season with a festive Kiwi inspired evening at the Hilton Auckland, New Zealand all in support of Coastguard Northern Region. 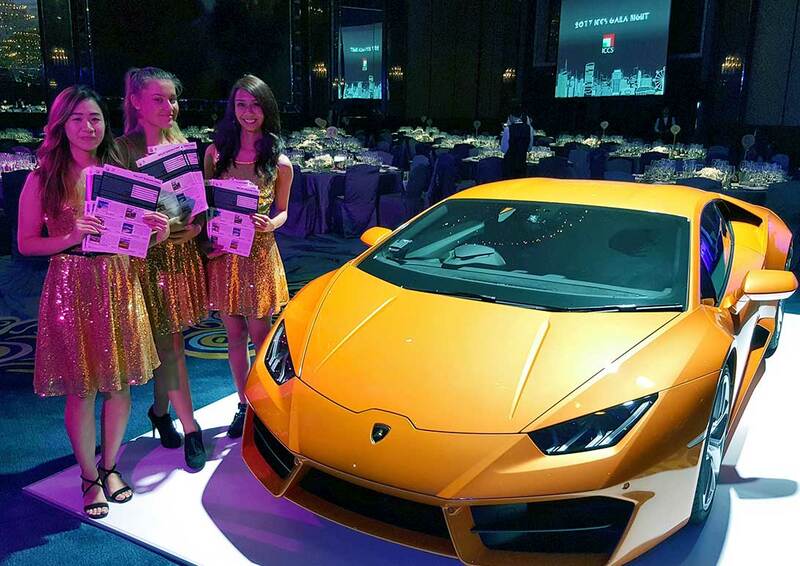 On the water’s edge of Auckland, enjoy a fun filled night with good food, fine wine and plenty of banter – not to mention the chance to participate in the value-packed live and silent auctions, along with some fabulous entertainment that lets you know the Kiwi Summer season has well and truly begun! So get your boatie mates, clients or family together for a great night of fun & dancing in support of Coastguard. For more info or to book your tickets, please email fundraising@coastguard.org.nz. We can’t wait to see you there! On November 9th, we will be out lending a helping hand at the John Walker Find Your Field of Dreams Foundation Special Luncheon to celebrate their One Millionth Free Swim at the Vector Wero Whitewater Park. 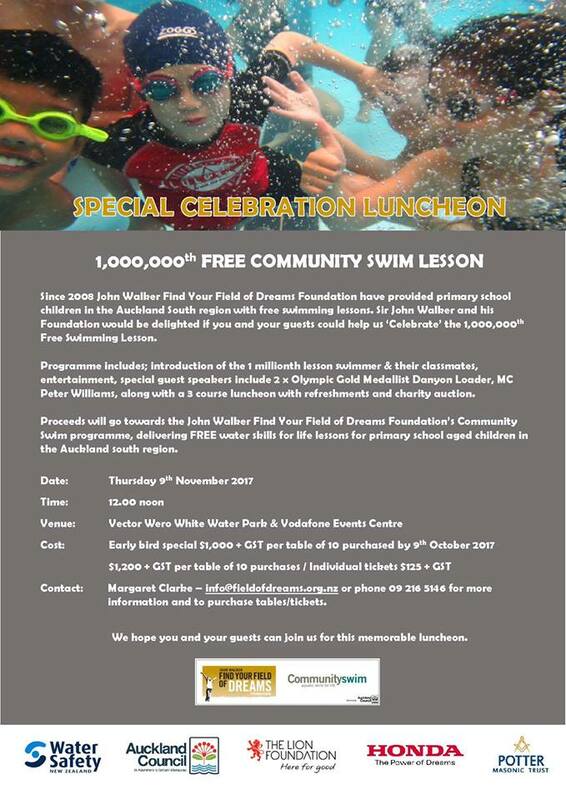 Proceeds from the event will go to the John Walker Find Your Field of Dreams Foundation Free Swim Programme delivering free water skills programmes to the primary school aged children in the South Auckland region. We will be joined by MC Peter Williams and Double Olympic Gold Medallist Swimmer – Danyon Loader. If you are interested in coming along, please contact Margaret. 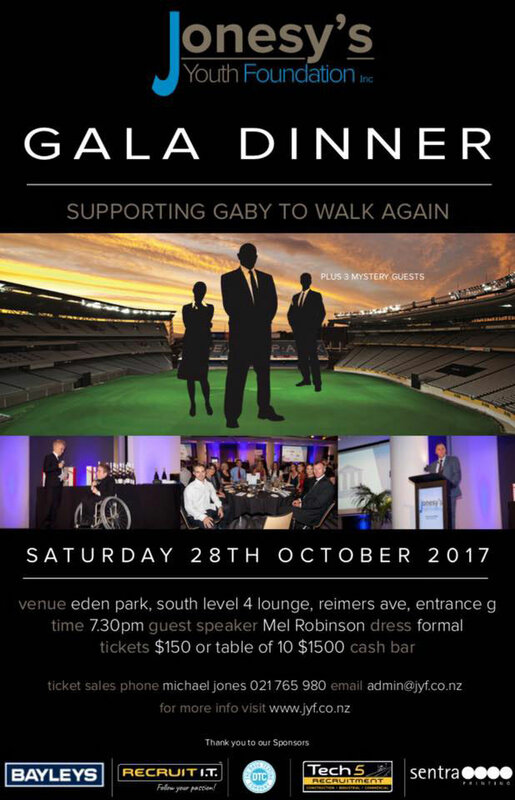 We are delighted to announce that on the 28th of October, we will be out in Auckland lending a helping hand at the Jonesy Youth Foundation Gala Dinner – Supporting Gabby to Walk Again. This year’s Gala Dinner is on the 28th October at Eden Park. Our guest speaker is Sky Sports presenter Mel Robinson who will be talking about leadership in sport for women, plus three exciting mystery guests. This year we are supporting Gabby “G Dub” Wright to walk again. In June 2016 Gabby was a healthy teenage girl playing netball and felt a cold coming on and 2 weeks later she was paralysed from the waist down and now has a medical condition called Transverse Myelitis. Gabby would love to be playing netball in 2019 as netball is her life as all she has ever wanted to do is be a silver fern. It would be great to have you attend our main fundraiser event of the year and tickets are now available to purchase for $150.00 each or $1500.00 a table. More event info and tickets here.